Water Capacity : 95 Gal. 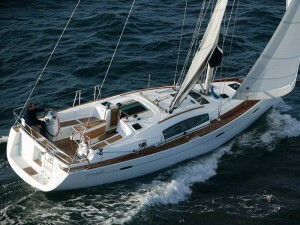 A Moorings 41.3 features a self-stacking full-batten mainsail with lazy jacks, and a roller-furling genoa. 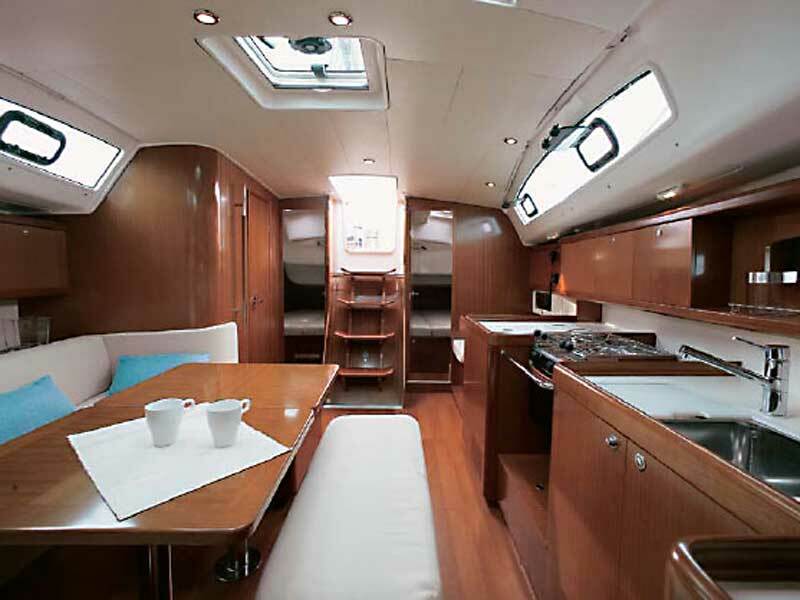 All sail control lines are led aft to the cockpit for safety and convenience, and the dual helm stations provide excellent visibility. The electric windlass with handheld remote makes anchoring easy. 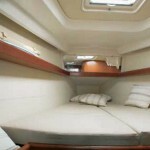 The yacht is equipped with a full electronics package, including a color chartplotter and autopilot. 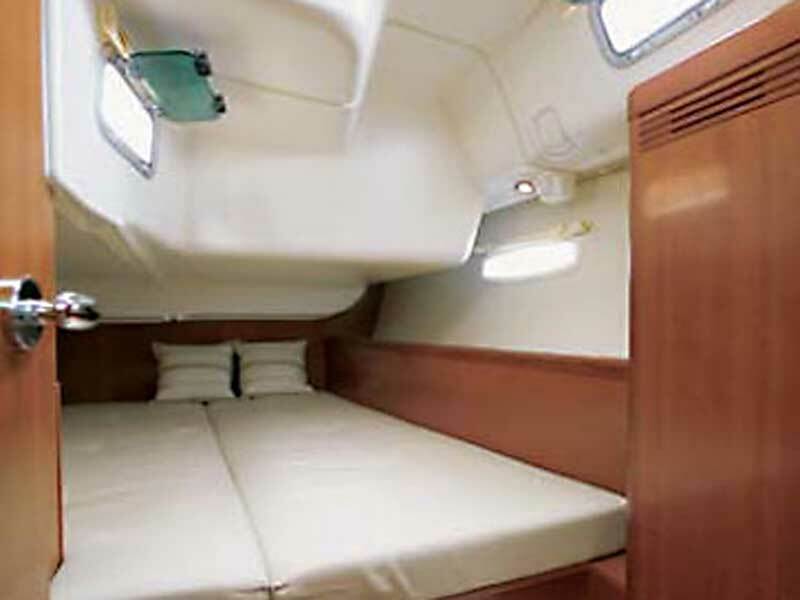 The spacious cockpit has a drop leaf table, a shower, and stereo speakers. 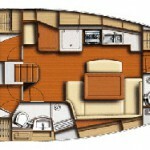 Below is a light and airy U-shaped saloon with a large table and seating for eight. There is also a stereo/CD player with an MP3 connection and a flat screen TV/DVD player. 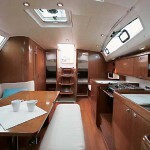 The fore-and-aft galley is to port and has all amenities as well as ample storage and counter space. 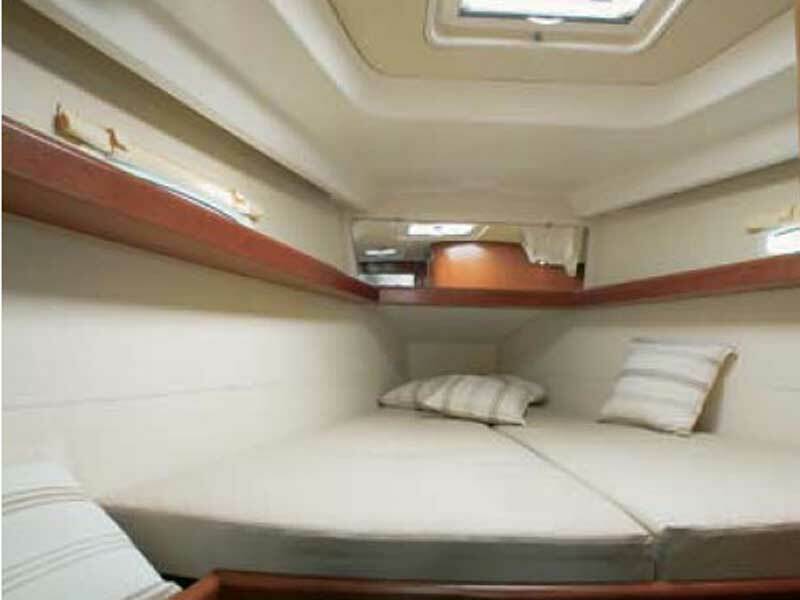 Forward is a luxurious double stateroom with head and shower and a hanging locker. 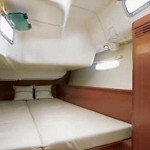 Two additional double cabins with hanging lockers are aft, and another head with shower is to starboard. 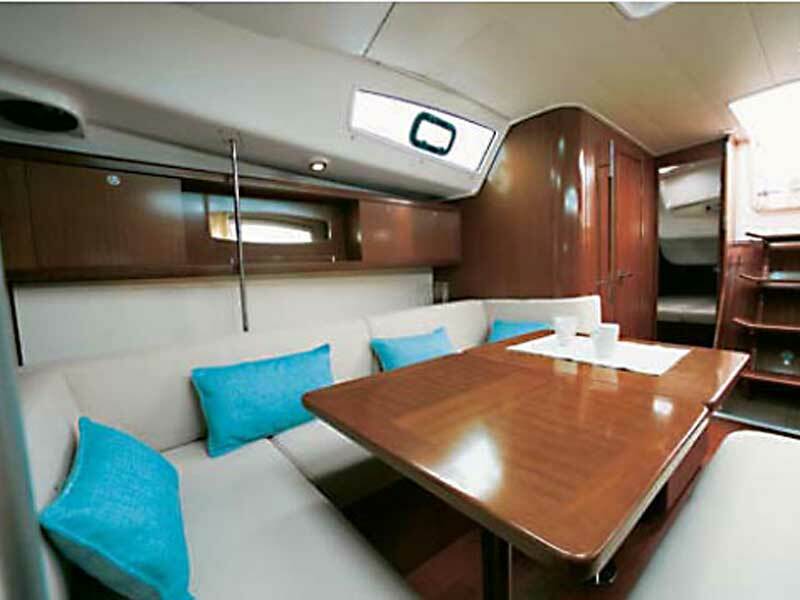 Opening ports and hatches provide superb ventilation throughout the yacht, and fans are in every cabin. 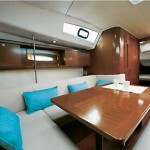 In addition, the yacht has shore power air-conditioning.